Veteran defenceman Mark Streit is suddenly the odd-man out in the Montreal Canadiens' ongoing blue-line shuffle. The Canadiens placed the 39-year-old on waivers Thursday three months after signing him to a one-year, $700,000 US contract. Streit won a Stanley Cup with Pittsburgh last season. The Canadiens signed Streit in free agency to restock their depleted group of defenceman. 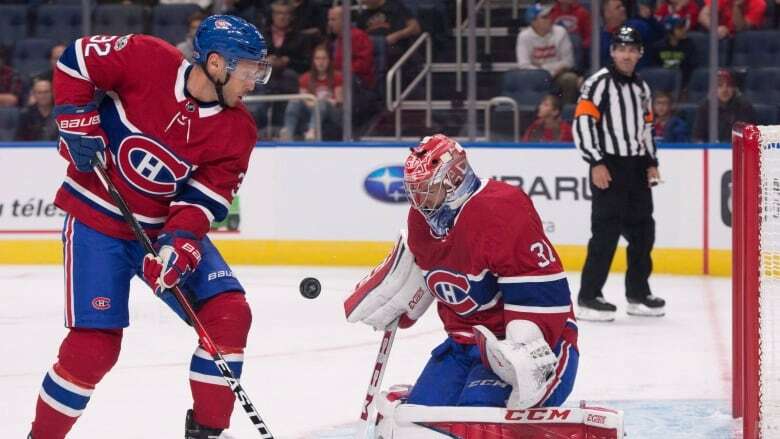 Andrei Markov left to play in his native Russia, Alexei Emelin was claimed in the NHL expansion draft and Nathan Beaulieu was traded to Buffalo. Streit had no points in playing Montreal's first two games, before being benched the next two in favour of Brandon Davidson, who was acquired in a trade with Edmonton last season. The Canadiens' reformed defensive group also includes free-agent addition Karl Alzner and rookie Victor Mete. Canadiens coach Claude Julien previously said patience was required to allow the players a chance to develop. "We're going to be fine," Julien said, following a 6-1 loss at Washington last weekend. "A lot of new faces back there, and guys are just trying to get used to doing the right things and being in sync with each other." This is Streit's second stint with Montreal after spending his first three NHL seasons with the Canadiens. He's topped 40 points in six of 11 seasons and overall has 96 goals and 338 assists in 786 games. The Canadiens have been outscored 11-2 in losing three straight since a season-opening 3-2 shootout win at Buffalo.